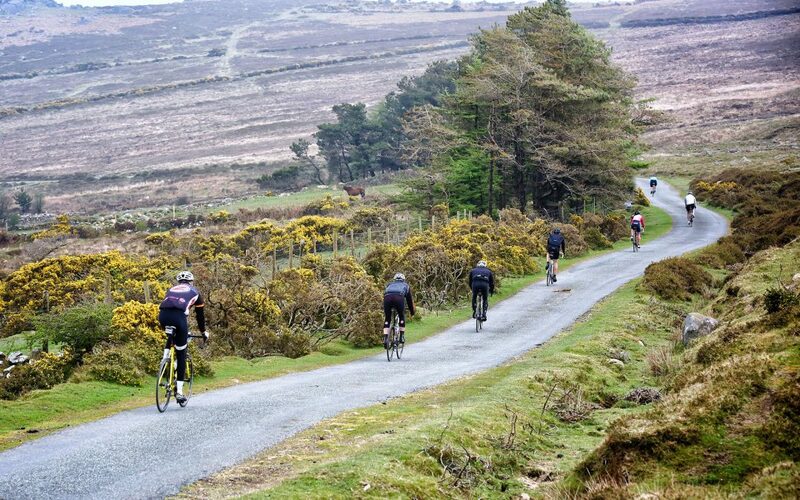 The Tour of Pembrokeshire has partnered up with Crys Melyn Cycling to offer road cycling coaching weekends in the heart of the Pembrokeshire National Park. Whether you’re training for a sportive, or just want tips and advice on how to become a better cyclist, our weekend training camps are an opportunity to improve your riding technique and build your confidence on the road. Through a combination of workshops, cycling skills sessions and guided rides with qualified local guides, you’ll become a more assured and self-sufficient cyclist. We’ll be focusing on key road cycling skills (such as climbing and descending, cornering, and riding in a group), but we’ll also tailor the coaching programme to the specific needs of the group. There will also be sessions on bike mechanics and maintenance, as well as advice on bike fitting. The guided rides will be an opportunity to put these skills and techniques into practice. In small groups organised according to ability, you’ll get on-the-road support from qualified road cycling coaches (British Cycling Level 2). The Pembrokeshire Coast National Park offers the ideal location with a variety of the terrain and breath-taking scenery for road cycling, including sections of the Tour of Pembrokeshire. And when you’re done riding, you can relax in luxury cyclist-friendly accommodation, with spectacular views, plenty of space to socialise, fantastic home-cooked food and a comfortable bed for the night.